Advertising Week 2015, which takes place this week in New York City, opened with a good omen: On the eve of the event, a rare red moon lunar eclipse hung over the Manhattan skyline and stopped tourists and residents alike dead in their tracks. 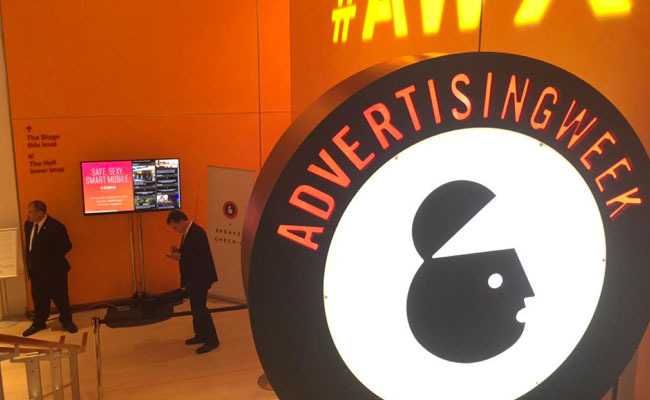 The next day, the speakers at Advertising Week also hoped to stop attendees dead in their tracks, but they planned to do so not by blocking out light but with flashes of insight. And on Day 1, there were plenty of illuminating thoughts to be had. Lisa Utzschneider, Chief Revenue Officer of Yahoo, made the case during her presentation with Bonin Bough, Chief Media and eCommerce Officer at Mendelez International, that data is becoming increasingly important. “Data is the new currency and it’s the medium of exchange between consumers and marketers,” Utzschneider said. Data is most important in mobile, Utzschneider said. “We are a nation of mobile addicts,” she said. She pointed out that marketers are waking up to this fact, because digital ad spending is flat when mobile is factored out. As digital, social, and mobile spending continue to siphon money and attention away from television advertising, advertising agencies are being forced to adjust to a new world. 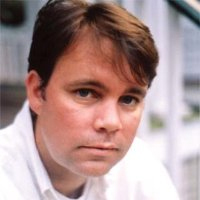 An Advertising Week panel examined changes in the agency world. Alan Cohen, one of the founders of a Giant Spoon, said that he and his co-founders had developed a new kind of agency, one that combined strategy, insight, creative and execution. Content is not to be consumed, it is to be experienced. This concept was a theme on the panel titled Fast, Good or Cheap: The Reality of Today's Content Creation. “We are moving to a place of content experience,” is how Mary Gail Pezzimenti, Vice President of Content Creation at The Huffington Post, put it. Think about the variety of channels out there where marketers leverage content to engage with our audiences. Just a few years ago it was merely Twitter and Facebook. Today, it's Instagram, Pinterest, LinkedIn, Snapchat, and the market continues to explode with new options such as Periscope and Meerkat. Today, our job as content marketers is to create remarkable content that adapts itself to any given channel and gives our audience a cross channel experience that is unified in message and brand. Social media and mobile are inspiring new ways of communication and marketing, with native advertising being one way that marketers are adapting to the opportunities posed by new media. Unilever’s Rangaiah said this cycle is repeated with every new medium. He pointed out that in radio’s early days in the 1920s, the medium merely imitated newspapers by reporting the news. That is, until one executive came up with the idea to broadcast a heavyweight fight, and soon radio became a medium that covered live events. Television, too, copied radio in its early days, with its earliest commercials being primarily about the spoken word and not taking advantage of the sight, sound, and motion offered by TV, Rangaiah said. Now, marketing and new media companies alike are struggling to find the right ways to communicate with consumers via social and mobile. Rangaiah said that the only certainty in the new ways to reach consumers are coming. “In this world, change is happening fast. You’re going to get disrupted by someone faster, younger, nimbler,” Rangaiah said. LinkedIn has developed many new ways to help marketers reach their target audiences at scale on our professional networking platform. For a quick overview of how marketers can leverage LinkedIn, download our new guide, The Little Big Book of LinkedIn Advertising.